Pair your new favorite drinks with new food selections available today at your favorite Starbucks. 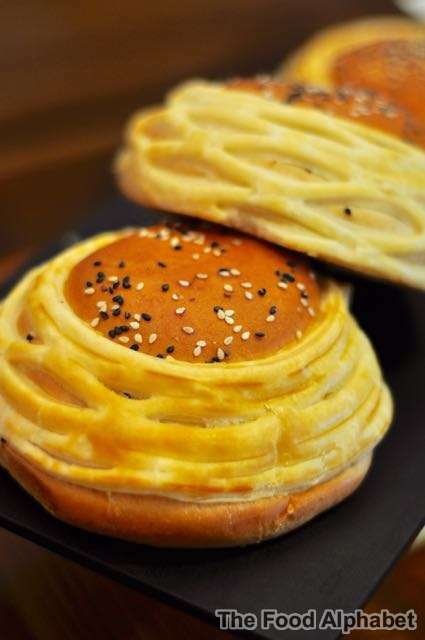 A soft bun filled with sweet and savory chicken filling. Finished with layers of buttery pastry crust on its side. 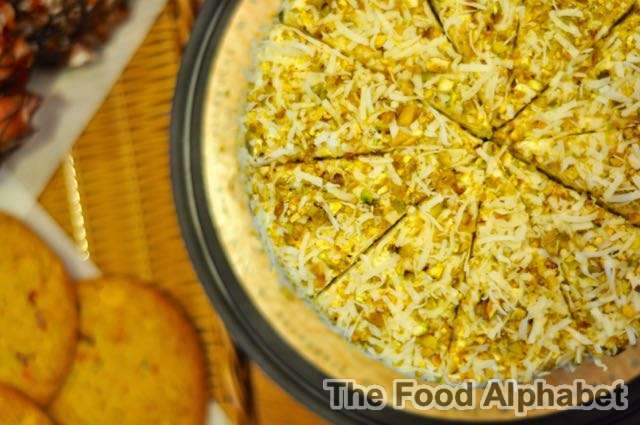 A light and moist sponge cake layered with chewy yet crispy meringue and mango creamy custard smothered with vanilla pistachio cream. 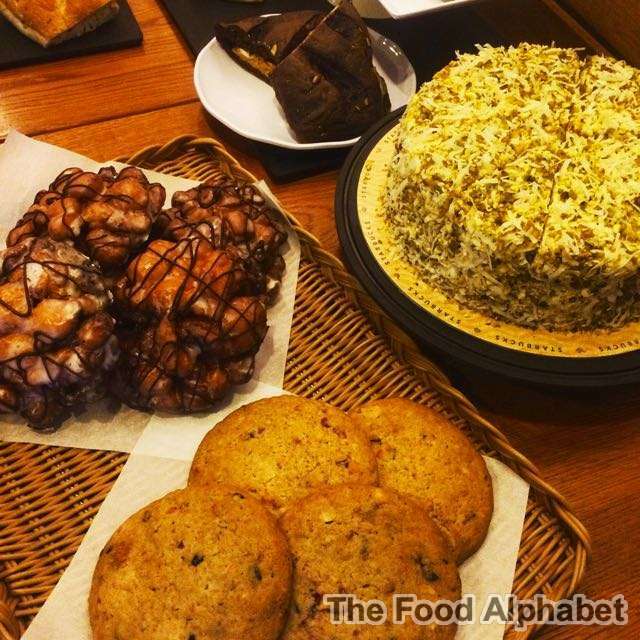 Take a bite at other new selections in Banana Chocolae Fritter (₱65), a banana and chocolate pastry spiced with vanilla and covered with sugar icing and drizzled with chocolate; White Chocolate Very Berry Cookie (₱70), a chewy cookie with white chocolate chunks, dried blueberries, cranberries, strawberries and walnuts. a tortilla wrap filled with grilled lamb meat balls, fried potatoes with garlic sauce. Best served warmed. Note: Not available in Baguio, Boracay, Bacolod, Cebu, CDO, Davao, Iloilo, Naga, Gen San, Tarlac, Subic, Dagupan and Bataan. Chicken Pesto and Shitake Mushroom Melt on Flat Bread (₱175), Chicken breast fillet, shiitake mushroom, Emmenthal cheese and pesto mayo sauce on flat Ciabatta bread. Tuna Salad on Pumpernickel bread (₱180), Hearty tuna flakes, Emmenthal cheese and hardboiled egg on pumpernickel bread. Chicken BBQ on cord bread (₱175), A corn bread filled with chicken breast fillet enrobed with smoky BBQ sauce and corn slaw. 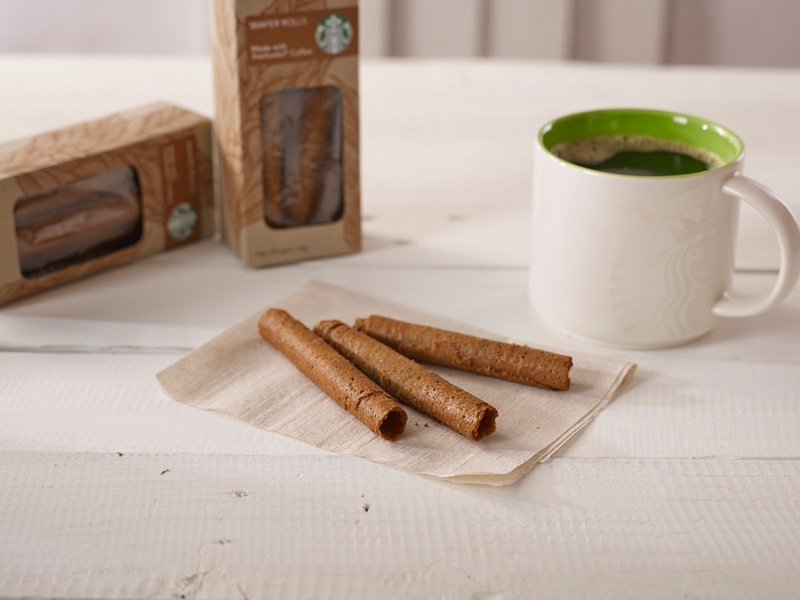 A new take on crispy wafer rolls, infused with Starbucks Espresso Roast, bring here, bring everywhere! Keeps you perk up all the time. Now that your filled up! Let us all welcome you to My Starbucks Rewards® ! Offering Even More Benefits With My Starbucks Rewards. My Starbucks Rewards® is our loyalty program that will reward members in meaningful and exciting ways, beginning July 28, 2015. Customers with Starbucks Cards will continue to enjoy their current rewards plus new choices and benefits. Any Grande handcrafted beverage with up to two (2) add-ons for every 12 Beverage Stars. Starbucks Reserve® brewed coffee may now be redeemed with 12 Beverage Stars. Any 250g bag of whole bean coffee for every 10 Whole Bean Stars. Starbucks Reserve whole bean may now be redeemed with 10 Whole Bean Stars. Any 12-pack Starbucks VIA® Ready Brew, 5-pack Starbucks VIA® Iced Coffee, or 4-pack Starbucks VIA® Latte for every 10 Starbucks VIA® Stars. One-time complimentary Grande handcrafted beverage with up to two (2) add-ons. Starbucks Reserve brewed coffee may now be redeemed as registration drink. Yearly complimentary slice of cake with a purchase of any handcrafted beverage on their birthday. Exclusive offers on items that they enjoy when they opt in to receive notifications from Starbucks Philippines. Special invites to events or early access to new products. Soon, members may conveniently reload their Starbucks Card through their Starbucks account using a Visa or MasterCard Credit or Debit Card. This featured will be available within the following months. Stay tuned for more details. Customers can join My Starbucks Rewards® by registering to a Starbucks Account at www.starbucks.ph/card. Customers who registered before July 28 are automatically included in the My Starbucks Rewards® program. Visit www.starbucks.ph for full program details. 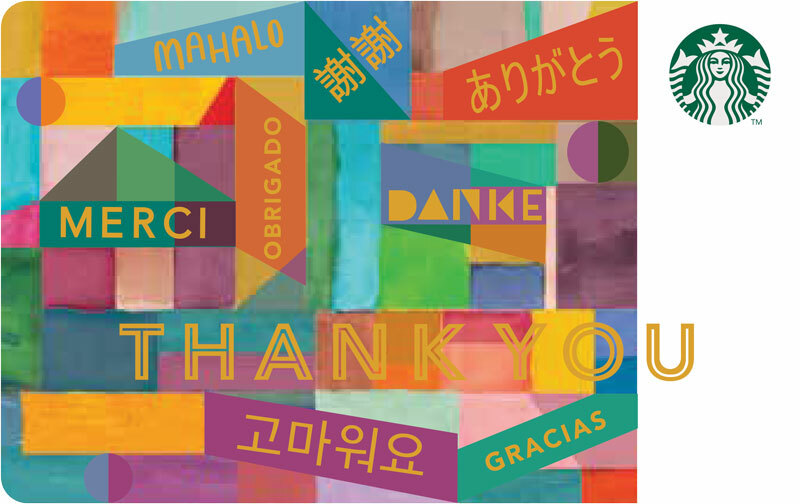 Inspired by the colors and elements of fiestas, this Card celebrates the Starbucks Card's 2nd anniversary in the country and is sold exclusively in the Philippines. We’re giving our core cards a new look. 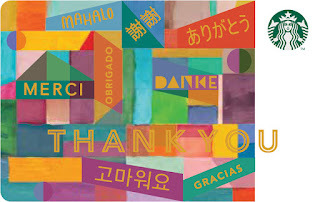 What better way to say thank you than with a Starbucks Card. Guess what we're not done yet! Here are your card promotions! Activate a 2nd edition Philippine Starbucks Card with at least P1,000 will receive a complimentary Grande handcrafted beverage. (Only for new card puchases). Offer from July 28 - 30, 2015! 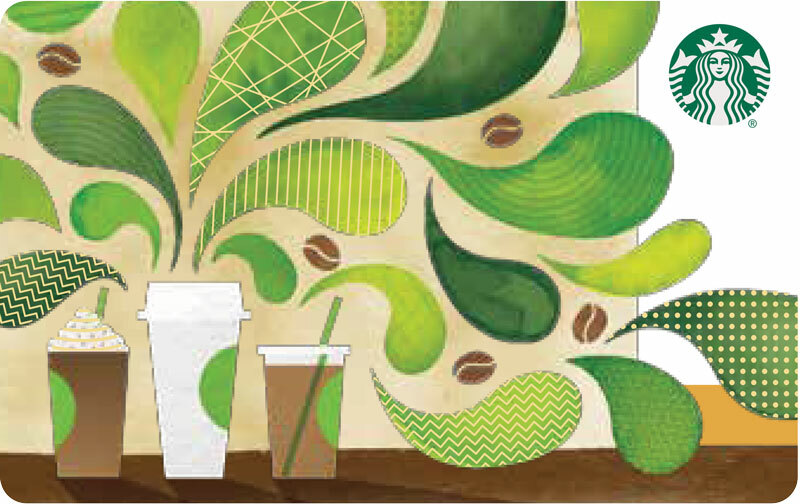 Philippine Starbucks card tumbler promo, from July 31 to August 31, 2015 customers who will purchase the 2nd Edition Philippine Starbucks Card Tumbler using a 2nd Edition Philippine Starbucks Card will receive a complimentary Tall handcrafted beverage. Free Tall handcrafted beverage must be redeemed on the date, time and point of purchase only. Offer is only valid with the 2nd edition Philippine Starbucks Card. Customers who will successfully register to a Starbucks Account from Aug. 1 to 15, 2015 will automatically receive one (1) bonus Beverage Star, Whole Bean Star and Starbucks VIA® Star. Promo will not apply to customers who add multiple Starbucks Cards into an existing Starbucks Account. Bonus Stars will be given on top of the complimentary Grande handcrafted beverage upon successful registration. 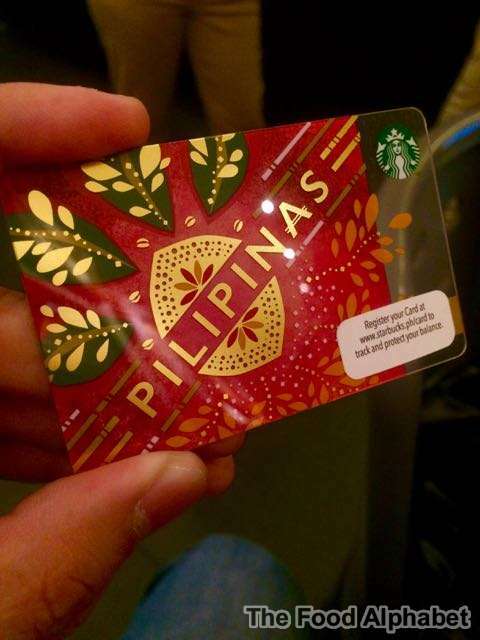 Offer is only valid for Starbucks Cards issued in the Philippines. 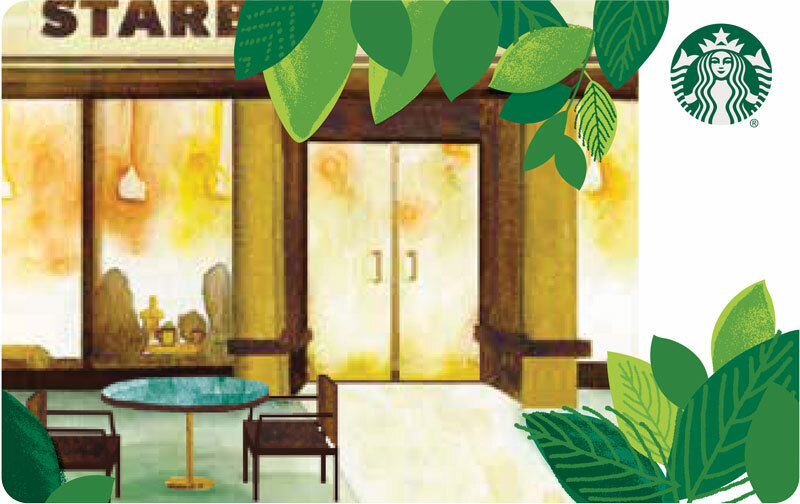 It's Starbucks Card 2nd Anniversary in the Philippines! 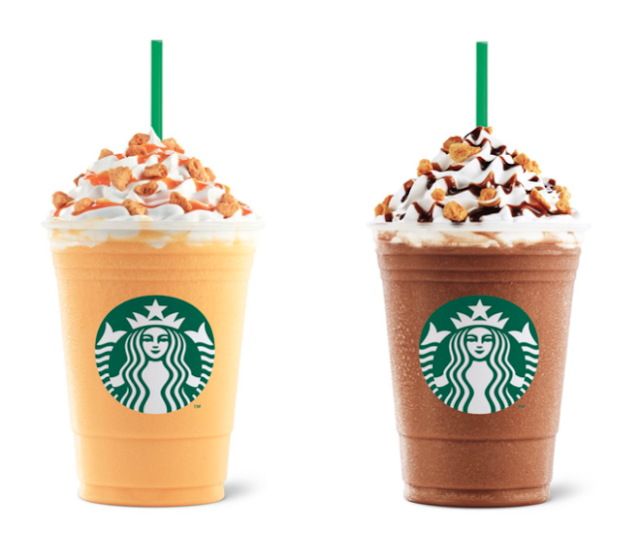 Get to enjoy these treats with your Starbucks Card! Enjoy a Buy One, Get One offer on an Iced Americano, Iced Latte, Iced Mocha, Iced White Mocha or Iced Caramel Macchiato when they pay using the Starbucks Card on August 6, 2015. Offer is limited to one (1) purchased beverage per transaction. One (1) Beverage Star will be earned for the purchased beverage. Promo will run until September 18, 2015. The Starbucks My Frappuccino® Moment Photo Contest is a photo-upload type of contest wherein interested participants must upload a photo based on the weekly themes provided by Starbucks Philippines. Winners will be chosen based on a set of criteria and size of photo entry must be a maximum of 5mb. Share a photo of our most popular Frappuccino® blended beverage; the Mocha Frappuccino®. Share a photo of your Frappuccino® and your favorite Starbucks food to pair with it. Share a photo of yourself sipping your favorite Frappuccino®. Share a photo from where you are sipping your Frappuccino®. Share a photo how you are expressing your love for Frappuccino®. • Winners will be announced on the Starbucks Philippines Facebook page every succeeding week.